We worked with Gonzaga High School to develop an integrated approach to reach alumni and other potential donors during the school’s Annual Fund campaign. 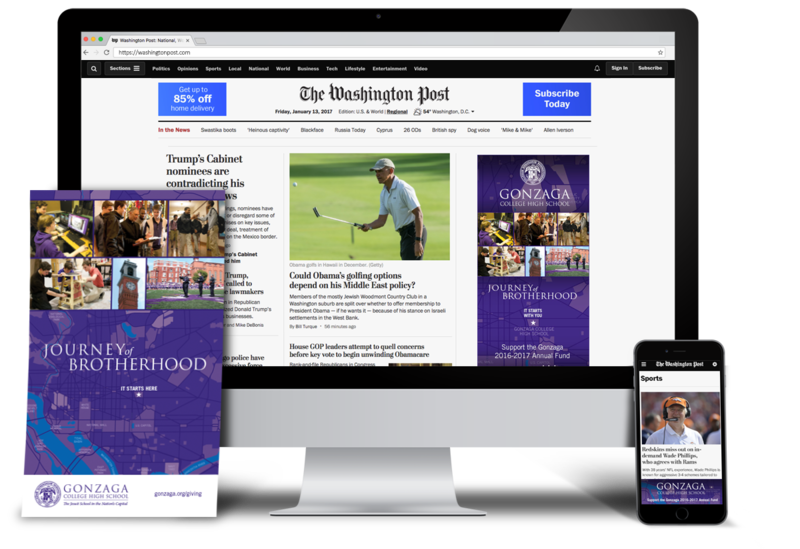 A new design concept was developed for the print components, and online display ads were created to reach direct mail recipients in specific households. 495 Digital’s GeoDirect targeting system was used match physical addresses with IP addresses at the household level.